Full Governing Body – We meet as a full governing body twice a term. Pupils and Curriculum Committee – meets at least once a term, but often more. Resources Committee – meets at least once a term, but often more. Personnel Committee, Appeals Committee & Pupil Discipline Committee – meets if required. Head Teacher Performance Management – meets at the start of the year to set targets for the Head teacher and at the end of the year to review targets. Appeals Committee – meets if required. 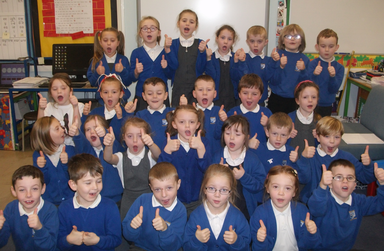 The major concern to the governing body at Windy Nook Primary is ensuring that our pupils progress in their education. 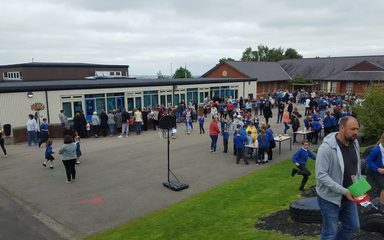 Governors appreciate that for this to happen the pupils must be supported by a well-led, enthusiastic, professionally competent and motivated staff. For the past seven years it has been my privileged to be Deputy Head at Windy Nook. I am passionate about making a difference to every single child in our care. I truly believe every child has the right to be the best they possibly can be and it is our job ,as facilitators of education, to unlock their potential, nurture their skills and release their ambitions. It is a joy to watch children flourish and to know that we can make a difference to the future generation is an honour. My role as a deputy takes many forms. I have teaching responsibilities on a morning. This enables me to have first-hand experiences within teaching and learning. Therefore, allowing me to empathise with colleagues and have a critical understanding when monitoring teaching and learning. I am responsible for the curriculum and assessment across school and Pupil Premium. As part of the curriculum, we strive to ensure visits are integrated into the academic year. Ensuring such visits are conducted safely also falls into my role as Events and Visits Coordinator. I am also Deputy Designated Safeguarding Officer. As a staff governor, I work hard to ensure Governors are up to date with developments in school and have a clear understanding of what has happened across the curriculum. Away from school, I am enthusiastic about cooking, leading a healthy lifestyle and keeping fit. I enjoy spending time with my husband and our two young boys. Hi, I am Julie Wiper, current chair of governors at Windy Nook. I was elected as a parent governor in October 2013 and in September 2016 took on the role of chair following election by the governing body. 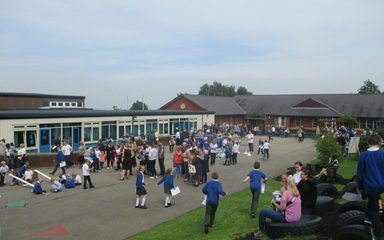 I have two children at Windy Nook and live locally so have a personal interest in the school. I am committed to supporting the school and work of the head teacher and management team to ensure that together we are providing the best possible education for the children at Windy Nook. I chair the pupils and curriculum committee and I am also part of the resources committee and the designated governor for health and safety. I am regularly in school for governor monitoring. I particularly enjoy this part of the governance role as it involves talking to the children and teachers about a whole host of areas that collectively form objectives on our Windy Nook School Development Plan. As governors we are required to scrutinise, challenge and really understand the desired outcomes and thinking behind the Schools development Plan. The children at Windy Nook are always a joy to chat to and are very eloquent. They are a true representation of what this school is really all about. My professional background is in the NHS, I qualified in 1996 as a podiatrist, in 2008 I moved into a more specialised role within Diabetes, managing complications of the lower limb and foot. 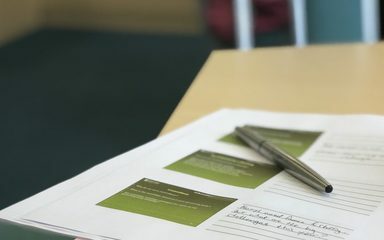 The skills I bring to the governing body include leadership and management experience, organisational skills, risk assessment, project management and knowledge of safeguarding. Being a governor is a very rewarding job, seeing and understanding what goes on behind the scenes to enable our school to run effectively and be accountable is quite remarkable. Our current team of governors are extremely dedicated and provide a vast skill mix to facilitate effective challenge, drive change and continually improve Windy Nook School. I have been a community governor since February 2016. As a member of St Alban’s church for most of my life I am keen to continue the links between church and school. 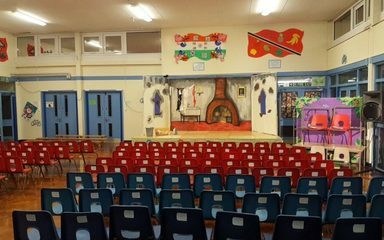 Windy Nook’s Christmas Carol service is one of the best attended events in the church year and we also enjoy welcoming pupils and parents to the Easter service. This year has seen the development of a wildflower garden around the perimeter of the churchyard and the school has been actively involved in the planting. We can’t wait for the first daffodils and then wild flowers this Spring. I retired in Summer 2015 after teaching for over 20 years. I started my career in primary education (including two terms at Windy Nook) before moving into Special Educational Needs which saw me spend most of my career in an 11 – 16 secondary school in Consett. I specialised in assessing and teaching students with dyslexia which also involved training other staff. Later in my career I became a Head of Year, responsible for pastoral care of a year group as well as monitoring their learning. I am keen to continue my involvement in education and see the early years of a child’s learning journey as vital to their future achievement. Windy Nook is a vibrant, successful school with a committed and caring staff and I am privileged to be a governor. I became a co-opted governor in February 2016. I am member of the resourcing and finance committee, as well as the governor linked to the Governor Attendance Panel. I am a contracting project manager and have worked across various companies in the North East, mainly focussing transformational change programs drive by IT changes. I have two daughters, one at Kells Lane Primary school and the other starting in Sept 2017. I’m a recently appointed co-opted Governor who lives local to the school with my wife and two young sons. I am passionate about the life chances of the young people in our area and very much look forward to playing an active part in the life of such a vibrant and happy school. 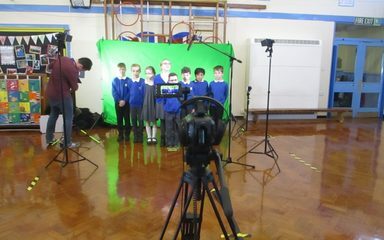 I work with computers and software in education and hope to be able to use that experience to help our school make best use of new technologies and software and also to assist in getting the very best value from suppliers and systems through my membership of the resources committee. I became a co – opted governor in September 2016. I am married with two primary aged daughters. Professionally, I worked for many years in arts development: with New Writing North, Live Theatre, Durham Literature Festival and then developing creative projects in schools across the North East with the Creative Partnerships programme (Arts Council England). Recently I have been involved in developing website content and I am treasurer for the PTA at Rowlands Gill Primary School. In my role as school governor, I would like to make a difference to the learning experiences and ultimately life chances of children in Gateshead. My name is Rachel Mullen, I am a local authority governor and have sat on the governing body since December 2015, I contribute to the Pupils and Curriculum committee. I have a background of being a union representative within my place of work, and also sit on the executive council of that union which I believe has given me the confidence to ask questions and raise queries when necessary. Since I have sat on the governing body I have also been elected as a Councillor for Windy Nook and Whitehills, the ward in which the school is placed. I became a school governor back in April 2013. As a full time classroom teacher I thought that this would give me a different perspective of how the school works. Both of my daughters attended tis school, therefore I have some understanding of what it is like being a parent at Windy Nook as well. Currently I am working in year 6 with a temporary TLR leading maths throughout the school. In addition to this I also oversee the administration aspect of the school website. My name is Victoria Billings. My daughter is currently in Y3 and thoroughly enjoys school. I have been a teacher for 24 years. I moved up to Newcastle study teaching at university and never left. I believe that all children deserve a well-rounded education where they can thrive and reach their full potential. As a governor, I enjoy being part of a team, ensuring the school’s vision is fulfilled and supporting and driving Windy Nook Primary School forward. I’m a recently appointed co-opted governor, and I’m looking forward to doing all I can to support this school. I live locally with my wife and 2 young children, my eldest has just started in Reception class. I’m passionate about helping young people to fulfil their ambition and potential, so I’m very happy to be in this role and will work hard to help the school any way I can. I run a video production company in Gateshead, so I’m hoping that my general skills and experience of running a business can offer a different perspective to the governing board. My main skill set is around technology and media, which I’m hoping I can use to bring a positive and direct impact to the school.